The past couple months have been a whirlwind of activity which have resulted in potential partnerships that will equip NAE4-HA well over the next few years. I applaud the NAE4-HA Board of Trustees for pushing and challenging us to fulfill our strategic plan, using it as a guide for our actions during our most recent meeting. without straining states with hosting responsibilities. During the PILD conference last month, the president’s council led a discussion among our state association representatives. Throughout these conversations, the board of trustee’s ideas were confirmed with many of the ideas coming from our states. While professional development will always remain the core of our annual conference and meeting, we look forward to adapting the way we market and position our professional development opportunities within the sphere of influence of positive youth development. 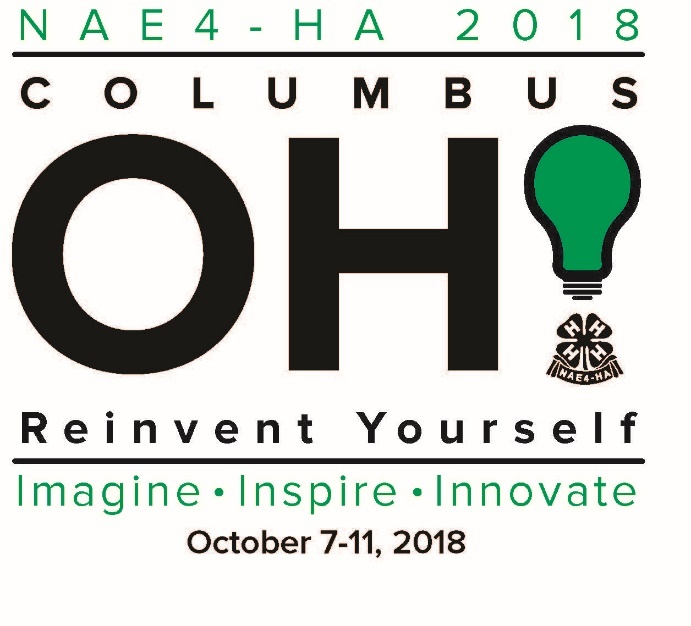 We hope everyone is getting fired up about “reinventing yourself” at the 2018 NAE4-HA conference October 7-11 in the inspirational city of Columbus, Ohio! A special message to all members will go out with more details when the conference registration site is live cancelled. Plan ahead and reserve once. South Dakota 4-H Staff spent part of their conference making blankets for a local dialysis center. Robby Kelly, North Central Region Director, enjoyed his time at the conference and brought greetings from NAE4-HA. Save the Date for Virtual Professional Development Opportunities in 2018! As an NAE4-HA member, we invite you to engage in professional development monthly through our virtual professional development opportunities! These webinars are streamed live and archived for later viewing, designed to fit the busy schedule of an Extension professional. With content presented by NAE4-HA members and sponsored by NAE4-HA committees and tasks forces, it is our goal to connect you with other NAE4-HA members to explore and share current trends in youth and professional development. What an exciting way to grow professionally in the comfort of your office! Webinars will be held the third Wednesday of each month from 1:00pm - 2:00pm EST. Please save the dates below on your calendar for each monthly session. Again, we are excited to bring these professional development opportunities to you in 2018! If you have any questions, please contact Jeffrey Burke, Virtual PD Task Force Chair, at jburke@uga.edu. A professional development series offered for youth development professionals within their first three years of employment. This series will assist new professionals in understanding the benefits and business of the National Association of Extension 4-H Agents. Webinars will share insights on the importance of being involved in NAE4-HA as well as tools that will help the new professional create and manage a successful professional development experience through NAE4-HA. Webinar Information - Click the links below each title to Register! Title: It’s Time to Register for Conference … but how?!?! Abstract: Deciding to go to the NAE4-HA Conference was easy but going through the online registration is a different story! Let us help you as you prepare to navigate the online registration system. We don’t want you to miss the chance to register for pre-conference offerings and seminars on wheels that are also available through this registration process. It may seem overwhelming but we are here to walk you through the process step-by-step. Title: Committees, Task Forces and Business Meetings, Oh My! Abstract: A guide to understanding the foundation of association involvement. Committees, Task Forces and Business Meetings are all integral ways for members to be involved in the Association but it can often be overwhelming to a new Extension Professional. This session will help you to understand why business meetings are important, what happens during business meeting and why you should be there. Attendees will also learn about the structure of the association and how committees, sub-committees and task forces are the lifeblood of the association. Abstract: You are registered for the NAE4-HA Conference…Now What? This session will help attendees to learn how to navigate a conference schedule, learn to use the Conference App, how to maximize your time in the exhibit hall, important sessions to attend and more. Did you know there’s an orientation just for New Extension Professionals/First Time Attendees at the Conference? This webinar will take the stress out of your first experience at a National conference. The Tennessee Association of Extension 4-H Workers at the 2018 State Conference, which was held at the Bristol Motor Speedway. Kendriana Price, Southern Region Director, shared an update with attendees. For many years, Georgia 4-H’ers asked about having a 4-H Prom. The 4-H’ers wanted the opportunity to go to prom with their 4-H friends, many saying they would rather go to it instead of attending to their own school’s prom. In 2013, Dr. Lori Bledsoe, Northwest 4-H Program Development Coordinator, and Al Parker, Northeast 4-H Program Development Coordinator, decided to offer kids the opportunity by rebranding the Georgia 4-H Senior Conference. This event had not been held in 7 years due to the lack of participation. The new event was held in early April at Rock Eagle 4-H Center and was open to all 9th – 12th graders across the state. Each year we have changed the activities that have occurred. There’s much more to the weekend that just a prom. 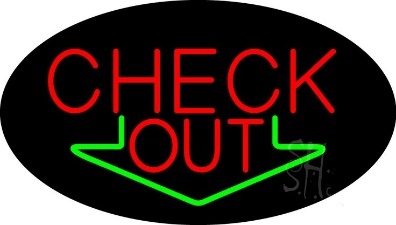 We have offered classes on ballroom dance, table manners, how to tie a tie, and square dancing. The schedule in 2018 included a motivational speaker and a share fair, which included representatives from eight schools and universities as well as 31 youth presenting exhibits. The prom, which is held in Georgia EMC Pavilion at Rock Eagle 4-H Center, allows enough room for dining, announcing of participants, and dancing. Once the dance is over, kids go back to their cabins to change for the “after party” which offers several choices of inflatable slides and obstacle courses, more dancing, and a mechanical bull. Before departing on Sunday morning, youth attend an assembly where all district and state officers, camp counselors, and State Congress delegates are recognized, as well as naming of the king and queen. Potential candidates for state board are also given their first chance to campaign. Youth are given details on all upcoming 4-H events they can attend. The first year saw an attendance of 250 youth. In the six years of its existence, the event has grown to over 500 attending each year, with a total of 547 attending last month. If you are looking for ways to improve your high school 4-H program, just listen to your kids to see what they want to do. This successful event came from one of those conversations. If you would like more details on the Georgia 4-H Senior Conference, contact Al Parker alparker@uga.edu or Lori Bledsoe at lpurcell@uga.edu. 4-H National Headquarters supported the National Institute of Civil Discourse in the development of a text based program titled “Revive Civility.” We will introduce the program and share how you can utilize it in your local 4-H programs. We will also discuss what civility and civil discourse are and how they related to 4-H programming. National extension resources will be shared. Interactive discussion will focus on what is going on in your local programs related to civility and civil discourse, what the issues and potential for addressing them are, and what resources you need. Please join us for this sharing and discussion session. This webinar will present current opportunities at the International Summer English Language School in Berdsk, Novosibirsk Oblast, Russia to be held the summer of 2019 for Russian youth 6- 17 years of age learning English. The program is in its 13th year and pays all expenses on the ground in country. Now in its 8th year, the festival continues its mission to bring youth together to learn from working professionals in the television and film industry. Past presenters have included film directors, actors, TV series editors, writers, stunt persons, special effects (SFX) experts, sound engineers and commercial animal trainers. One presenter just announced for 2018 is SFX makeup artist Joseph Drobezko. An internationally recognized makeup artist who has already worked on several films, Drobezko is fresh off the most recent season of the SyFy series Faceoff. FilmFest 4-H takes place July 29 – August 1 in Columbia, Missouri and pre-registration is required. Passes to attend FilmFest 4-H are available on the FilmFest 4-H web site at http://filmfest4h.org for $129, and conference rates are available for lodging. Those wishing to keep up with the latest news and announcements can follow @filmfest4h on Facebook, Twitter, and Instagram. Deadline for articles or news submissions is the 20th of each month, which will be published the following month. This next editions deadline is May 20th for the June e-news.